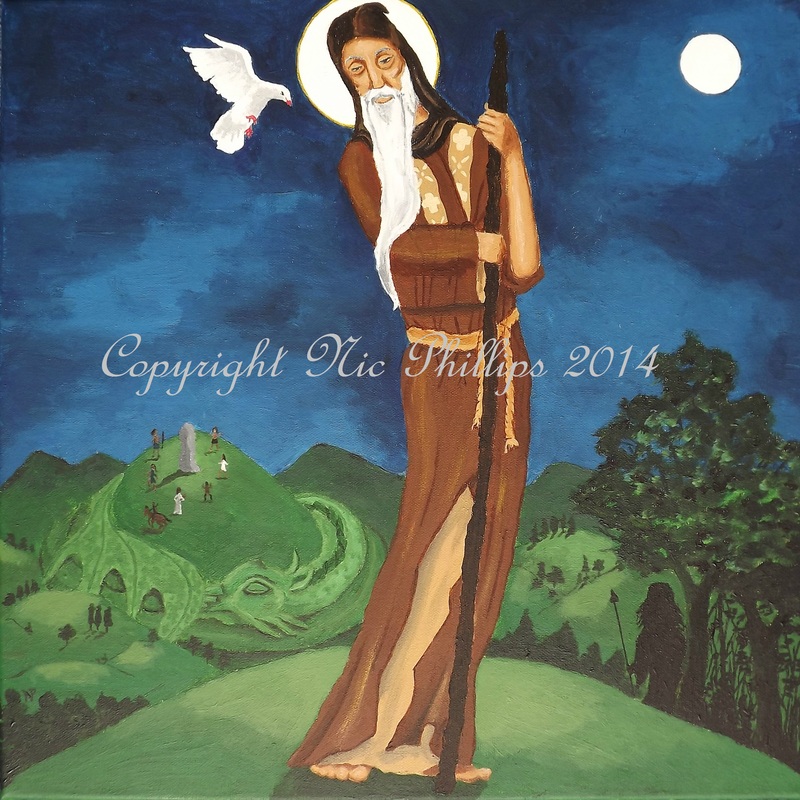 The first completed painting for my chapter on Welsh saints. Samson of Dol began his monastic life at St Illtyd’s in South Wales. He travelled through Cornwall before settling at Dol, Brittany, and his journeys are filled with pagan symbolism including serpents, witches, and Lughnasadh dancing! The ‘Life of Samson’ is very early in composition and is thought to have been written within a generation of his death and related by one who knew him. Copyright Nic Phillips 2014. Acrylic on canvas (15.5in x 15.5in).